Went to the holding room. Talked to the anesthesiologist and our ENT, who will tell us when Alex has one of his ears done and said a few other reassuring things. While waiting, Alex has been a complete trooper. No fear from this kid. He fell asleep in his mother’s arms. 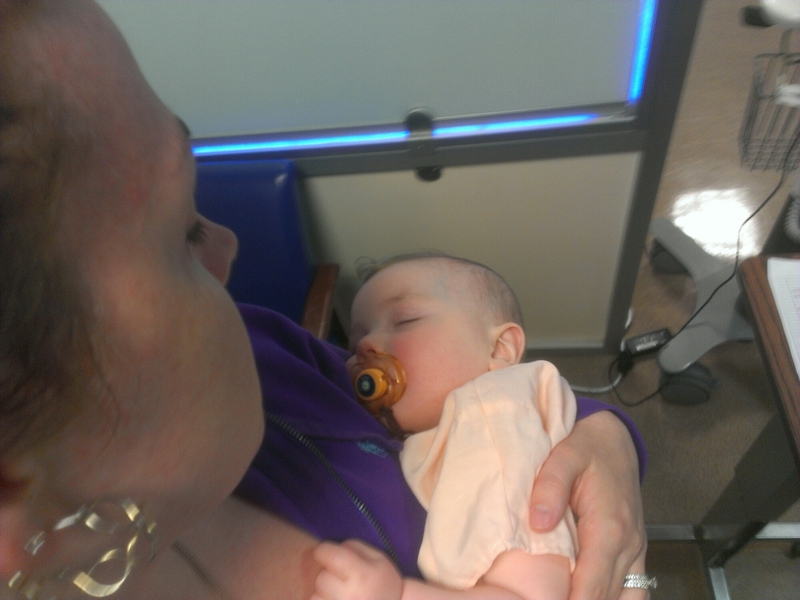 A few minutes later the anesthesiologists came for us as it was time to begin. We didn’t get to be with him as he was put under, so we gave him big kisses and passed him over as he was still sleeping. Very emotional moment. The wait begins. Our hearts are broken that he has to endure any of this, but we’re all in this fight. I can’t wait to get my family home.